Travelling is wonderful in many ways; broadening your horizons and becoming a life-affirming experience that you will never forget. It can leave us with a sense of wanderlust and have us longing for more destinations to visit, cultures to experience, delicious local food to eat and people to meet. However, many of the world’s most beautiful holiday destinations require us to fly to reach them and for some people, it is this part that holds them back. 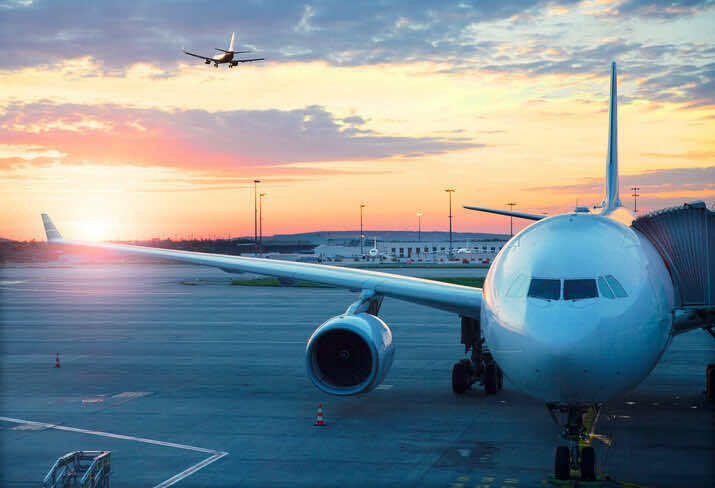 Maybe you have a real fear of flying, which stems from a sense of claustrophobia, a dislike of being “trapped” on a plane so high up in the air, or the understandable fear that you will encounter danger while in the sky. If you do suffer from anxieties like these, there is lots of help available! Or, maybe you’re not really afraid of flying – you simply want to arm yourself with some useful tips to make your experience as comfortable and straightforward as possible, so that you can arrive at your destination refreshed, relaxed and ready to have fun! When you’re planning your holiday, don’t forget to plan the start of your journey too! Travellers should know the exact departure time of flights, and what time you should be at the airport to board your flight in time. Preparing to fly also means having your necessary paperwork, including passports and flight itinerary. All of the above should help you relax and keep stress levels down. In crowded terminals or flights, keep a close eye on your bags! Travelling with a buddy makes this much easier (a buddy may make the whole journey overall anyway! ), but if you are alone it is especially important to be vigilant. Wearing your luggage on your back (in the form of a large backpack) means that you never have to leave your luggage alone pre-flight. A rucksack is handy and helps ensure you have your luggage on you at all times! Dress for comfort and safety – avoid synthetic clothing and choose cotton, denim, leather or wool. Wearing layers allows you to adjust to the changing temperatures throughout your flight, and loose clothing means you can move about easily and quickly. Although the temptation is to zone out when the staff on board begin running through the safety demonstration (that you’ve probably heard a million times before), muster all your energy to open those ears and take in the safety information – although it seems repetitious, you will gain important information – for example, the closest emergency exits may differ depending on your seat number and the aircraft you are on. Keep your seatbelt fastened the entire time the aircraft is moving, this is especially true when taking off and landing. Your seatbelt provides protection for you in the case of turbulence. This is a no brainer, but there’s at least one passenger on every flight who doesn’t follow this advice! If a flight attendant asks you do fasten your belt, do it straightaway and ask questions later. We’ve all indulged in a few alcoholic beverages on the way to the sun, right?! Of course, this is fine; you’re on your hard earned holidays! But just remember, the atmosphere in an aeroplane cabin is pressurised to a high altitude. Since both alcohol and altitude impact your mental performance, moderation is a good policy. Keeping an eye on your alcohol intake is a great way to keep you and your luggage out of trouble, making your trip safe! Don’t bring any hazardous material with you on the flight – this is one of the best favours you can do for yourself, as it reduces the possibility of being delayed in boarding your flight (which also reduces stress)! There are a rather long list of substances that aren’t allowed, but common sense should tell you that you shouldn’t bring corrosives or gases on a flight. You can also check in advance what the airlines policies are. In the very unlikely event that you are involved in an emergency situation, such as a precautionary emergency evacuation, staying vigilant can really help you out. Follow the directions of the flight crew and try to stay as calm as possible. So, there you have it! A few handy reminders plus some all-important medical info to help you have the most pleasant flight possible. If you need any more help or information, feel free to discuss them with a doctor. Simply book a future or same day doctor appointment at any of our GP surgeries – we now have 12 London clinics, so should never be too far away when you need a find a GP. And, most importantly, have a fantastic holiday!